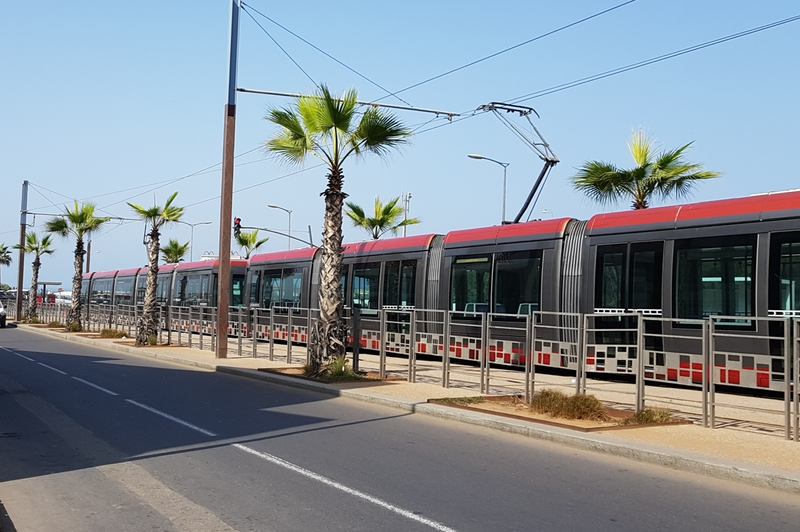 Casablanca’s public tram system and the influence of transit development on low-income neighborhoods. 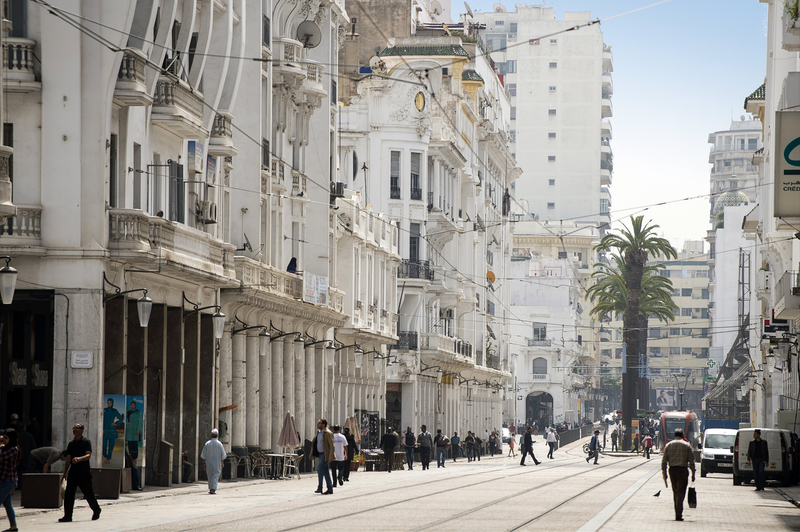 As Morocco’s largest city and business center, Casablanca has long faced severe traffic congestion, related pollution, and inadequate public transit. Plans for a subway remain unrealized, but the municipal government recently built a $1.6 billion tramway that connects disparate neighborhoods throughout the city. Such lines have become a global trend aimed ostensibly at environmentally sustainable and socially equitable urban development. Inauguration of the 31-kilometer system took place on December 12, 2012. Its 37 coupled Alstom Citadis trams are equipped to carry 250,000 passengers per day. Even before the introduction of long-term passes in February, 2013, the tramway was averaging 100,000 riders per workday. According to an early report, it quickly became popular with students, homemakers, professionals, senior citizens, and visitors to the city. Passenger railway lines in Casablanca. 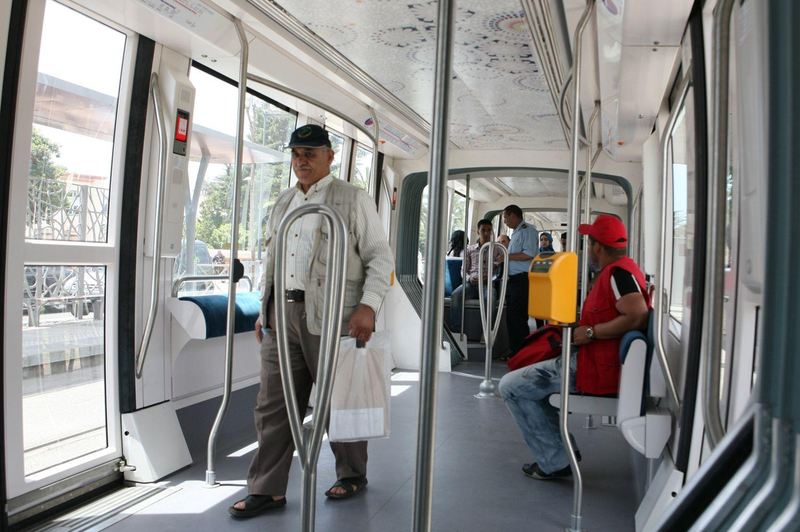 Youssef Draiss, director of the company responsible for managing the project, emphasized its potential “to upgrade Casablanca to the level of the worldwide metropolis, endowed with a modern identity, proud of its heritage and strengthening social cohesion.” With 48 stops, the tramway now connects low-income neighborhoods like Sidi Moumen and Hay Mohammadi with the beach at Ain Diab and the University of Hassan II. Municipal authorities intend to add another three lines and an elevated shuttle. A partially underground express train (RER) now runs between preexisting rail lines that link Casablanca to Mohammedia — a neighboring city on the way to Rabat — and Mohammed V International Airport. Tramway construction included substantial investment in public space. Prominent squares accompany five transit hubs throughout the city. A central stop with an expansive pedestrian zone — United Nations Square (Place des Nations Unies) — fills the intersection of Mohammed V and Hassan II boulevards. 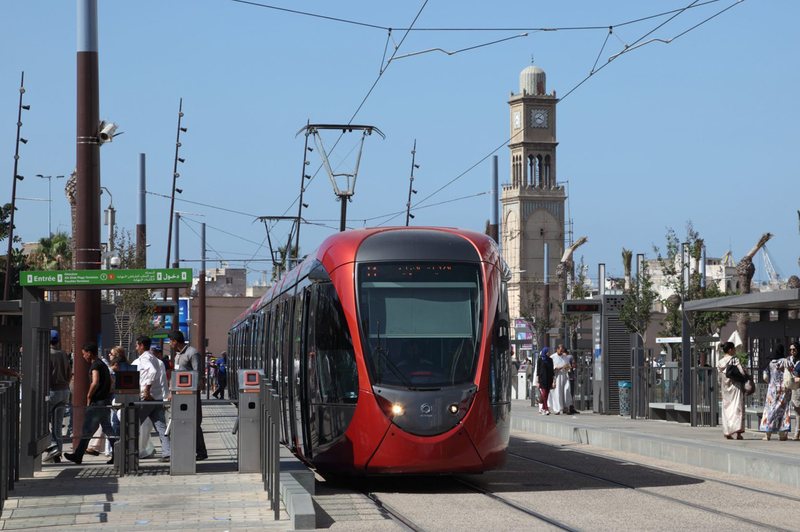 Restoration of historic architecture creates striking views, and four thousand new trees reflect Casablanca’s “vegetal heritage.” The trams’ sleek exteriors with “Moroccan-style” interior details explicitly project modernity rooted in tradition. These elements coincide with efforts to raise the city’s international profile, implying a focus on tourism and the knowledge economy. The tramway has generated a reported 2,000 direct and 2,000 indirect jobs — including drivers, technicians, attendants, and police officers. A massive new Central Command Post in Sidi Moumen regulates traffic for the network. Yet it is unclear whether employment options have actually improved for Casablanca’s least affluent communities. This is crucial as government investment in transit and public space attracts high-end developers. Will current residents be able to afford to stay within the tramway’s reach? The answer to this question requires constant vigilance in order to make sure the project fulfills initial promises of social and economic regeneration. Cristiana Strava is a doctoral student at the School of Oriental and African Studies, University of London.